Uncategorized Category Archives — Alaska Injury Law Blog Published by Anchorage, Alaska Personal Injury Law Group at, Atkinson, Conway & Gagnon, Inc. Sometimes even jaded lawyers are surprised by the arguments invented by the opposing party. 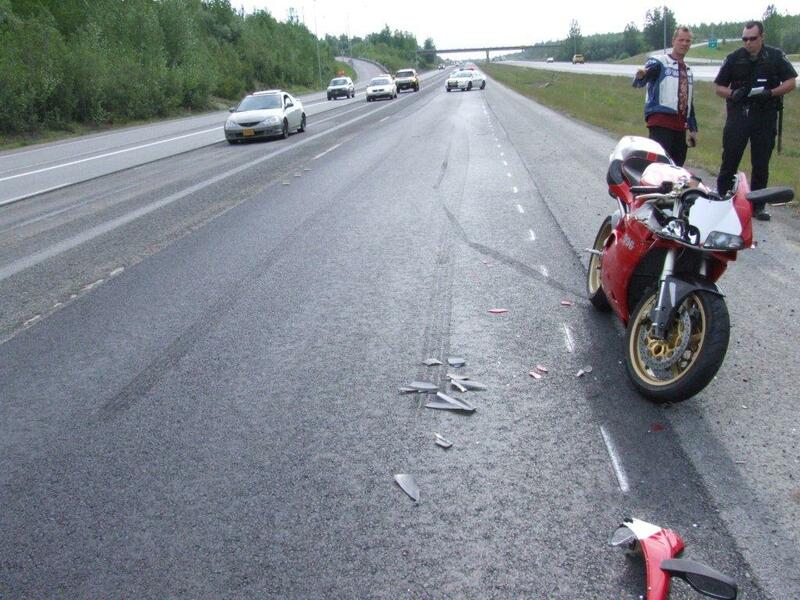 The attorneys at the Alaska Personal Injury Group have handled a number of motorcycle collision cases, and I recently represented a motorcyclist who was injured in a “road rage” incident on the Glenn Highway. 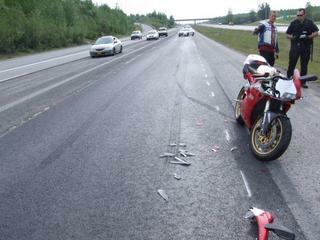 My client was riding his motorcycle in the recently resurfaced left hand lane. His friend on a second motorcycle was behind him. The asphalt had been stripped off in the adjacent lane to the right leaving the road surface in that lane extremely rough. “Motorcycles Use Extreme Caution” signs were placed at the beginning of the construction zone. The speed limit had been reduced from 65 to 55 miles per hour. The defendant was apparently in a hurry to get somewhere and pulled up within a few feet of my client’s motorcycle and tailgated closely behind him. When my client – doing the speed limit – declined to move over into the next lane with the stripped and rough road surface, the defendant swung his car around him and then cut back into the left lane right in front of my client. Not content with this threatening maneuver, the defendant then stood on his brakes skidding his car to a complete stop in the left hand lane of the Glenn Highway right in front of my client’s motorcycle. My client tried to stop his motorcycle before crashing into the car, with his rear wheel coming up off the pavement due to the rapid deceleration. The distance between the two vehicles was too close, the car’s breaking too severe, and the motorcycle impacted the car’s left rear bumper. The defendant emerged from his car yelling obscenities claiming that my client just rode up and smashed his motorcycle into the back of his car for no reason. The police were not impressed and cited the defendant for reckless driving and assault. I sued the defendant on behalf of my client for his injuries and property loss. The defendant stuck to his story. He claimed he had not braked at all before the motorcycle just drove up behind him and rammed the back of his car. This led to a tough question for the defendant: if you did not break before the collision, why are there long braking skid marks from your car leading up to the impact site with the single braking mark from the motorcycle up on its front wheel in between your skid marks? Having no good answer, the defendant finally decided he really did not want to tell this story to a jury. Indeed, he would have been far better off with the “I’m sorry, I don’t know what got into me” defense. At least that defense would not have also proved he was a liar.